Many of our Suburban family probably wonder where Latvia is! 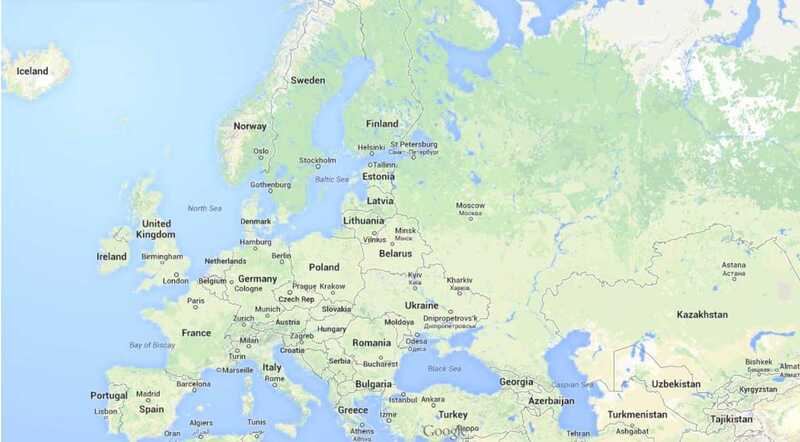 Double click on the map above and you’ll be able to see Latvia’s situation between Estonia on the North, Lithuania on the South, Russia on the East and the Baltic Sea on the West. The climate is cold – much colder than Oregon. Riga is the capital city of Latvia with a population of just under 700,000. Our Sister Church, Matthew’s Church, is the largest evangelical church in Latvia. Early on the Corvallis area connection to Latvia was birthed out of a passion in the heart of Chuck Kelley, one time Pastor at First Baptist here in Corvallis. Chuck has deep family roots in Latvia and a family that has long desired to see the Gospel of Jesus freely shared in Latvia – in fact his grandfather was a Pastor in Latvia prior to the Russian occupation of Latvia in 1944. Over time Chuck’s ministry to Latvia has included linking stateside churches with Latvian churches in an effort to support the growth of the Gospel both in Latvia and here. If you’d like to read more of the history of these connections, pick up the book “Surprised by the Father’s Plan” by Chuck Kelley (available on Amazon). Many are moving from Latvia and from Matthew’s Church looking for jobs. Latvia is the fastest growing economy in the European Union. Latvia began using the Euro on January 1. This is the 5th Latvian currency in a span of about 40 years. Laimdota Straujuma is the new Latvian Prime Minister. She attained this position after the prior Prime Minister, Valdis Dombrovskis, resigned the post in the wake of a supermarket roof collapse that killed 54 people. She will lead an investigation into the collapse. The Baltic Pastoral Institute – Steve and I will teach and share with a group of young men training for ministry and their wives and fiancees during our time in Latvia. Pray that we will encourage them and that they will encourage us! Peter and Baiba – pray for Peter and Baiba as they serve the Lord in Riga at Matthews Church. Women’s Event – There is a Women’s ‘Lecture’ at Matthew’s Church on Friday, January 31 and Friday, February 7 with speaker Kristine Zonne. Pray that God speaks clearly to the women who attend this event.